Last November, as we shared coffee, I mentioned that I was taking some time to start a writing project, namely an eBook. As I gathered information for case studies and other research for my (work-in-progress) eBook “How Midlife Women Reclaim Their leisure Time,” another eBook made its way into the world of self-publishing first. 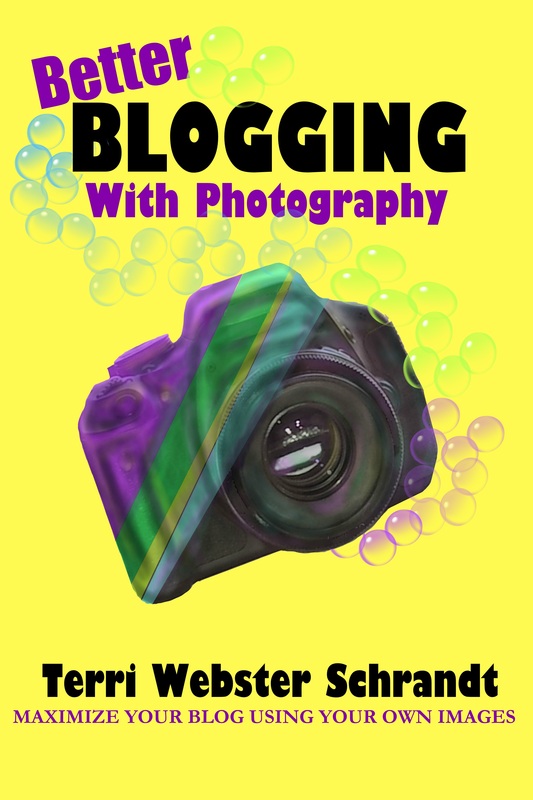 Better Blogging with Photography was originally meant to be a free eBook to be used as a give-away and incentive for subscribing to my blog. It morphed into a 50-page Kindle eBook and is still free through October 3. After this date, it is available for 99 cents. Today, if we were having coffee, I would ask you to sit and enjoy a cup of medium roast coffee (or tea, if you prefer) while I share my next writing projects. By sharing these ideas with you, I hope it holds me accountable to write them! After reading and more thinking, I came up with an idea for a short series, “The Better Blogging Series” that dives into what we bloggers (and writers) do. My next eBook, for which I have a decent outline started is “The Better Blogger’s Lifestyle” which will become the prequel to my current eBook. In this book I describe all the types of blogs out there and what it takes to write and maintain one. I hope you enjoyed coffee today. Please visit the hostess of Weekend Coffee Share at Part-Time Monster Blog. What kind of blogging topics are you interested in? Please let me know in the comments! Can You Spare a Few Stars? This is really inspiring. I’ve got so many blog post and essays about divorce…hmm. you’ve got the wheels turning for me. And downloading your book! How cool, Rosie, thanks! Do it, do it, lol! That is a great subject for a book (sorry to say), I’d read it! A series does seem like a natural result now that you’ve birthed the idea. I enjoyed your first ebook and look forward to more! A series? how exciting! I’m interested to see what all you come up with!!! It surprised me too! I need a brainstorming session! Can’t wait for the final results :). When you get done you can come help me get mine started! Yes, yes and yes. You’re way ahead of me, Terri, but already inspiring me to do e-books of my own. I have a fiction project I’m wrestling with now, but after that… ebooks here I come. Go for it. Thanks for that, Laurie! We writers must stick together for inspiration! This looks fantastic! Writing and photography are two of my favorite things and I need to do a better job of combining the two! That’s great to hear, Mandi! After some starts and stops with my blog, that’s where I finally landed! It’s like a workshop on paper! I think you should do it because obviously, you’ve been inspired to it. Keep us all posted! Thanks, Carol! I am working on my next one, “working” in my mind at the moment! From One eBook Author to another, Well done you and More Kudos for undertaking a series. Wow, I just joined the Indie Publisher alumni wit my first commercial eBook: “The Art Of Pinterest Profits” and I feel like million dollars! More so because literally my book is only a week old, I havent done any promos and its got Six 5 Star reviews. I am intending to check my download stats tomorrow. I definitely encourage anyone with ideas brimming over to Write a book! So thank you for sharing your ideas and sharing at the Pit Stop too! Thanks! And congrats on your book as well! Hey Terri, I think many topics are covered thoroughly by the many great blogs that are are out there, but personally, I like to have my information all in once place in the form of a book. I guess i will always be a book reader. Topics: I love your women in midlife idea. I think lots of us lost our leisure time in our busy years and are now exploring what is available and trying to discover what we are interested in now. Blogging? How about curating the best of the best advice from many people? I like the sound of that Michele! A great idea! Another local blogger and I may team up to write something like that! Thanks for the encouragement on the Midlife/Leisure. It will be a big task but satisfying. Hoping to do some more with it this winter. I’m swamped with my three classes this Fall (not complaining)! Great to hear there is going to be more books in this series, Terri. Good luck with them. I know just how many people will value them. If only they had been around when I started out blogging.😀 I still remember finding that very first blogging tips post and thinking I’d hit gold! No, of course not, Terri. I’m positive these guides will come in very handy for a lot of people. Those words are more encouraging than you know! Good luck with your new eBook and have a lovely week! Terri – I so admire you for writing these books! Just got the photography one. That is a definite weak link on my blog. Can’t wait to see the next one. Thanks for sharing on #overthemoon! Sounds like a good idea. Hope you have fun with it. Sounds great, I would love any tips on how to gain followers, that seems to be my biggest issue! That is a blogger’s conundrum for sure! Thanks for the feedback! I think e books are practical ways to get readers. Good luck with this. This sounds exciting Terri. I’m downloading your photography ebony right now and excited for the ones to come. There are so many good blogs already and I find I don’t have time to read as many as I like. I get lost in reading a book. My purpose of doing a blog was something to do. Whenever it gets a must I lose interest. I did download your book hoping to take the time to read it. Thanks for sharing it with us. Good luck with your next ebook. Thanks, BettyLouise! My eBook is a short read, and I hope you find some value in it! Please review when you get a chance! We’re finally getting cool weather here in Northern Cal, feels like October!